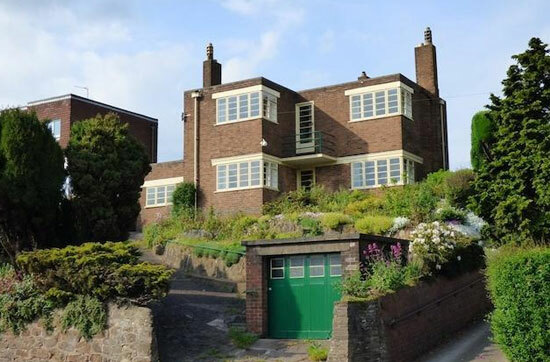 If you like the idea of a period house, but deep down prefer the home comforts of modern fixtures and fittings, this five-bedroomed 1930s art deco house in Willaston, Wirral, Cheshire could be for you. 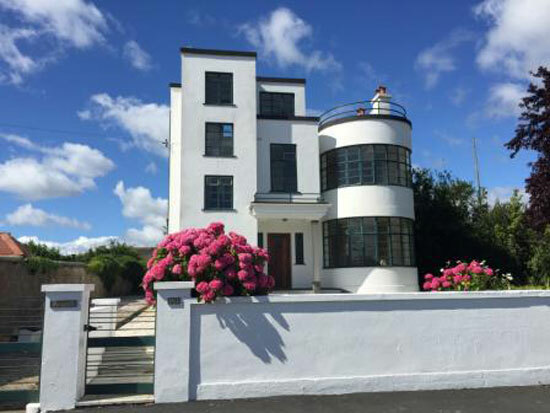 Noted as ‘architecturally significant’ by the Local Authority, it was designed in 1935 by local architect Hubert Thomas and is featured in the Cheshire volume of ‘Buildings of Britain’ by Sir Nikolaus Pevsner. 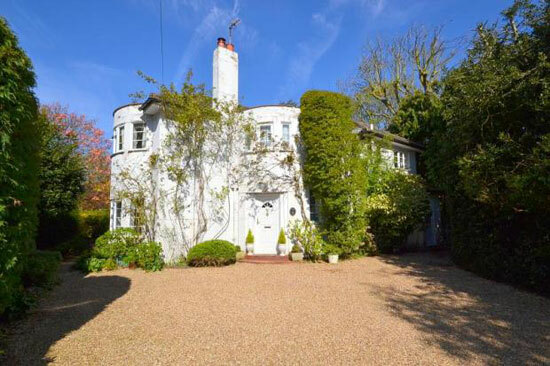 With that in mind, you would perhaps hope to find more period features inside to match the 1930s exterior. 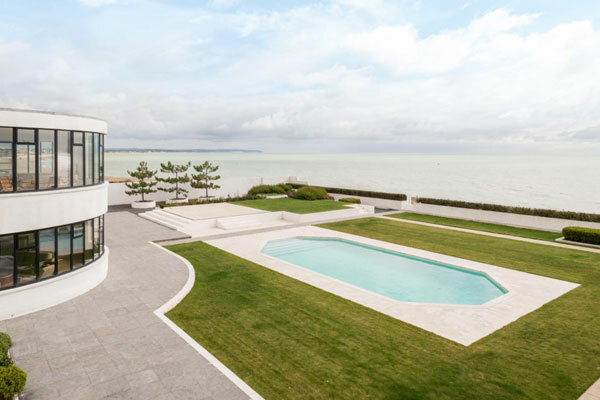 Sadly, aside from the roof terrace, the wood flooring and some windows, this is very much the modern home inside. 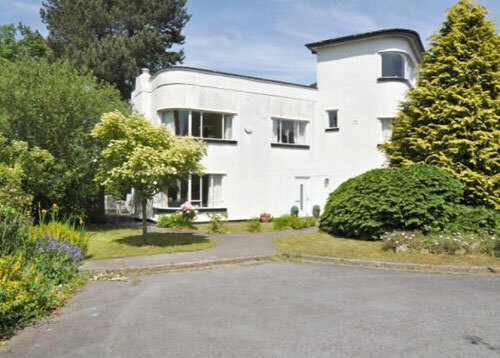 Although its distinctive shape will make it easy to adapt to a deco house once more. So what do you get? 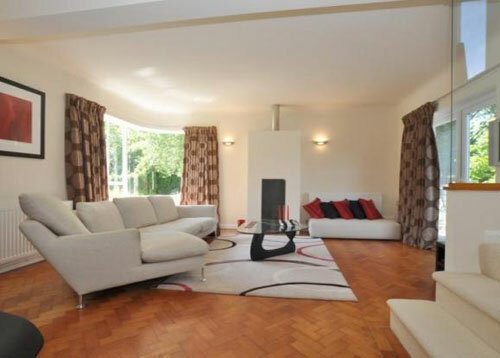 Well, a setting in a popular village in South Wirral and a good-sized family home. 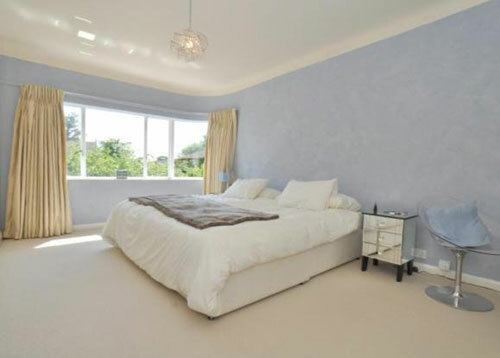 Specifically, we’re talking a ground floor entrance hall, sitting room, dining room, kitchen / breakfast room, pantry / store and cloakroom / w.c. Upstairs, you’ll find the master bedroom, second, third and fourth bedrooms and a re-fitted bathroom. 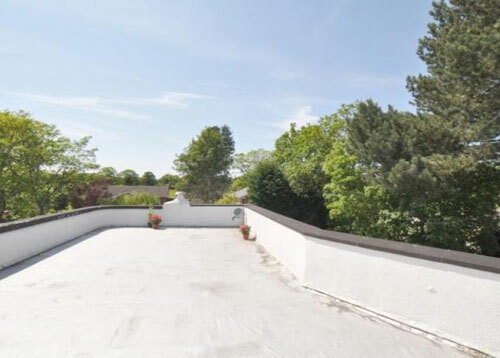 The second floor fifth bedroom also offers access to a large (parapet walled) roof terrace with good views. Outside there is a gated driveway, a double (two section) garage together with lawned gardens to two sides of the property, plus a flagged seating area and ornamental pond. Offers of around £500,000 will secure it.